ND:YAG laser is non ablative laser (it does not leave any scars on skin) , which stimulates metabolic process and tissue renewal. It removes pigmintation and sunspots. ND:YAG laser treatment suits to people, who do not have much time for long rehabilitation period and whose traumas and problems are not too serious when agressive treatmnet is needed (for example, CO2 laser rejuvenation, circular facelift etc. 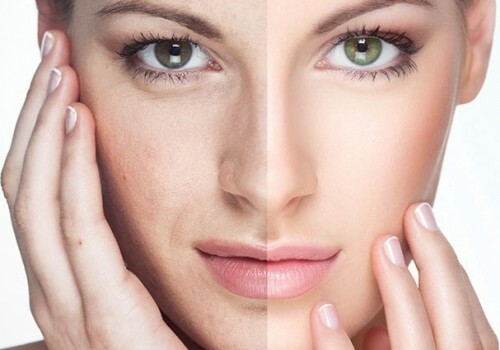 Your skin looks dull and you would like to refresh your appearance and improve skin tone, but you do not want to use injections, strong chemical substance, laser ablation and others invasive procedures, which have a long period of rehaliabitation, in this case ND:YAG laser treatment is ideal for you. How many procedures should be done to get a result? the number of procedures, which should be done to get a result, depend on a person as well as the size of treated area. Standand course consists of three or more procedures. You should take into the consideration the fact that ND:YAG laser treatment is not an aggressive treatment thus a result will be less effective if compare it with laser ablation treatment or with circular facelift. ND:YAG laser tretment proves its effectiveness in metabolic processes. NB! Our clinic holds a contract with the Estonian Health Insurance Fund to provide medical services. For patients who have a referral, the first consultation with a medical specialist costs 5 euros. All repeat consultations are free. Benign skin lesions removal – laser, radio waves, surgery. I agree to receive offers and news by e-mail. 205 queries in 0.513 seconds.